Yesterday Warner Bros. partnered with Turkish Airlines for a pair of TV spots featuring stars of Batman v Superman: Dawn of Justice. I think these ads are a great way to give movie fans a little tease for the superhero saga, without dropping a new trailer. Have a look at the promos below and let me know what you think. In the first video we see Ben Affleck as Bruce Wayne - inviting visitors to visit Gotham City. 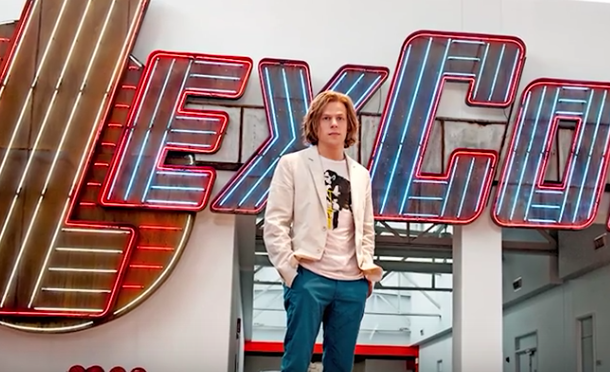 In the second promo Jesse Eisenberg is in character as Lex Luthor, who says of Metropolis "We can't wait to welcome you." Batman v Superman: Dawn of Justice opens March 25.